Mega hero Allu Sireesh is the only person in the family who is struggling for a hit and star hero image. His first film Gouravam is a flop. His next film Kotha Janta is a hit. Sirish is trying to make an impressive mark in Tollywood, and he is trying to turn the attention of everyone on to him. After a long gap and hearing lot of scripts, he signed a film in the direction of Parasuram, who earlier made the films like Yuvatha and Solo. The film is titled as Srirasthu Subhamasthu. 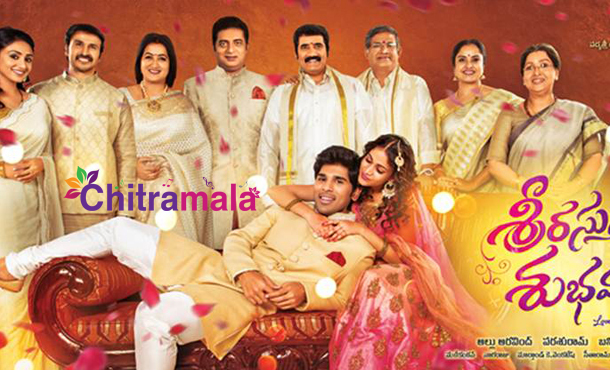 Almost after two years after the release of “Kotha Janta”, Allu Sirish is coming up with the film. The actor recently announced that the teaser of this film is coming out soon. The makers have released the poster long back but since then there is absolutely no buzz about the film. Lavanya Tripathi is the female lead of the film.